While living and working in Colorado, the backdrop of aspen trees provided the inspiration for the Birch Vessel hand-blown glass vase. Birch trees and aspen trees seemed similar to the novice like myself. 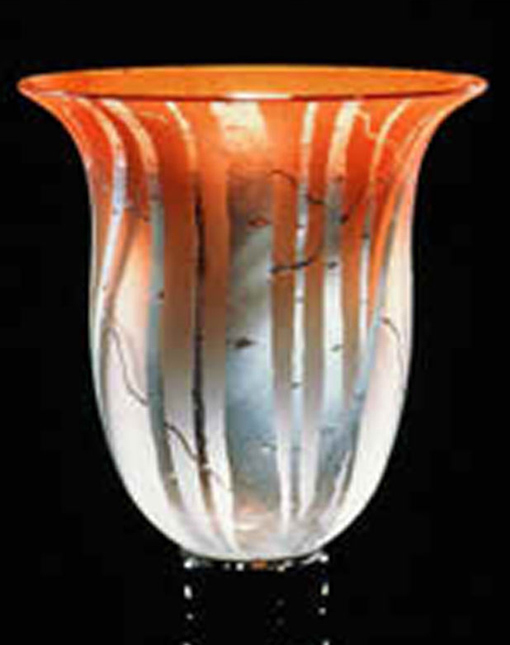 Since Bernard grew up in Pennsylvania, he decided to name this hand blown glass vessel after the birch tree. The Birch Vessel is comprised of multiple thin layers of color. The outer layers of color have been sand blasted away leaving the illusion of birch trees.